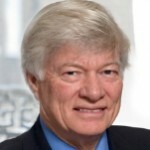 Geoffrey Robertson QC is a human rights barrister, academic, broadcaster and an author. He has acted as defence counsel in the famous criminal trials of OZ, Gay News, The Romans in Britain, Randle & Pottle, the Brighton bombing and Matrix Churchill. He was involved in the defence of Michael X and has defended Julian Assange. He was Mike Tyson’s advocate in front of the British Boxing Board of Control. Geoffrey Robertson is also a prolific and highly respected writer on matters of ethics, morality and law. His most recent book is An Inconvenient Genocide: Who Now Remembers the Armenians?